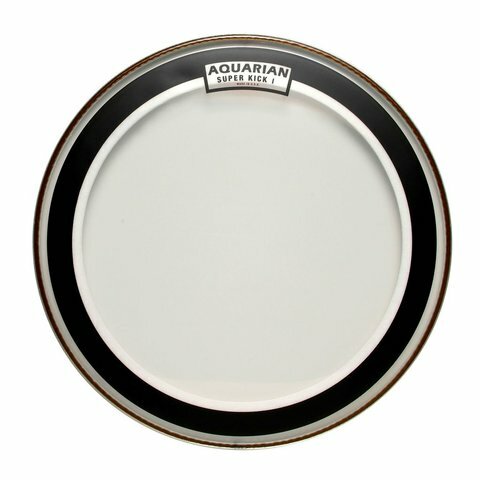 A clear, 10 mil single ply, medium weight bass drumhead. The Super-Kick™ series features Aquarian’s patented “Floating Muffling System”. A narrow felt muffle ring is attached to the backside of the drumhead to produce a low-end, well-defined punchy sound.